The Spanish Fork Indian Farm Reservation Comprising twenty square miles and extending from the state highway and the Spanish Fork River to Utah Lake, was set apart in 1854 by Brigham Young, Utah Supt. of U.S. Indian Affairs. Joseph E. Beck was appointed farm superintendent. 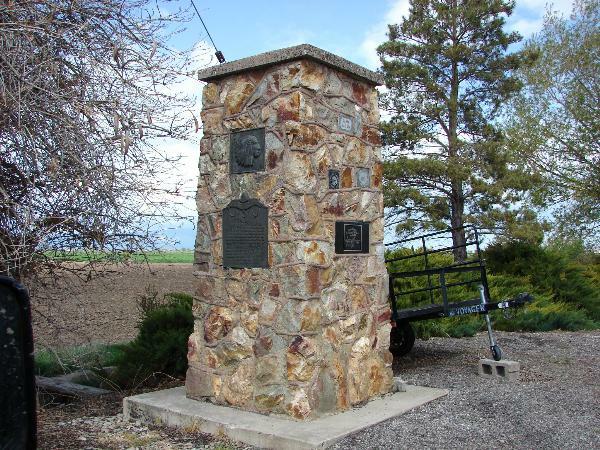 Dr. Garland Hurt succeeded Brigham Young in 1855, and erected a trading post 60 rods north of this spot. 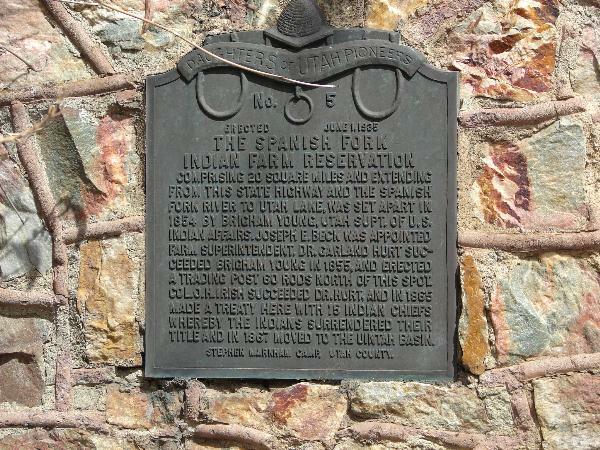 Col. O. H. Irish succeeded Dr. Hurt, and in 1865 made a treaty here with 15 Indian chiefs whereby the Indians surrendered their title and in 1867 moved to the Uintah Basin.